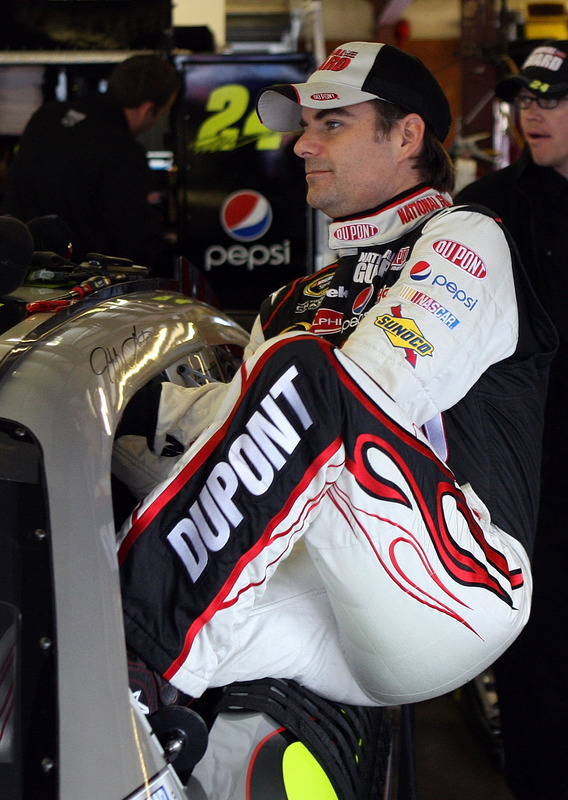 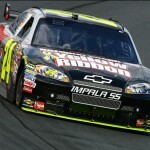 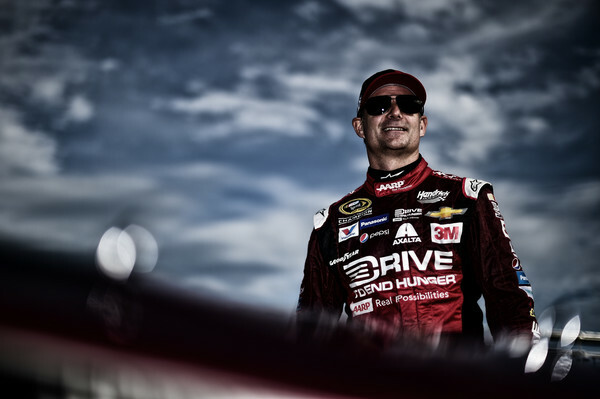 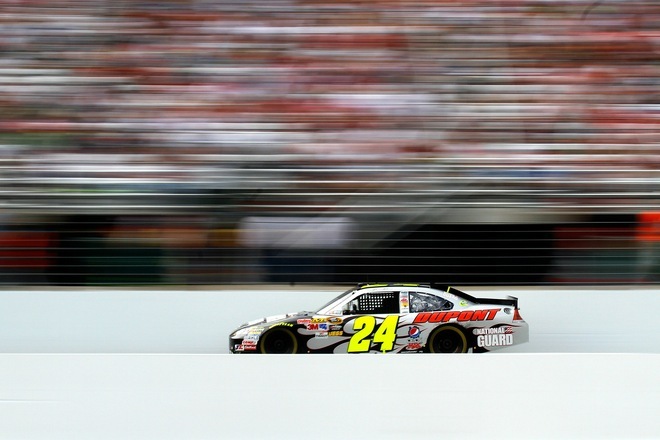 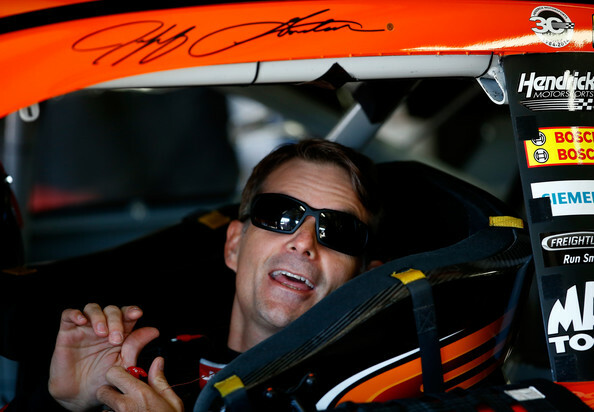 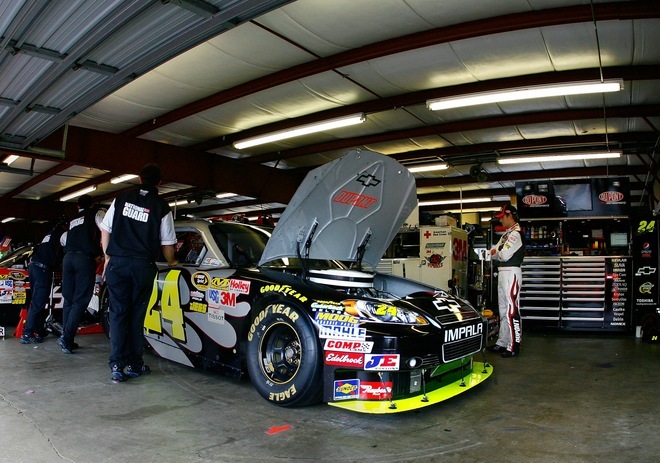 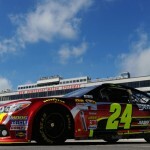 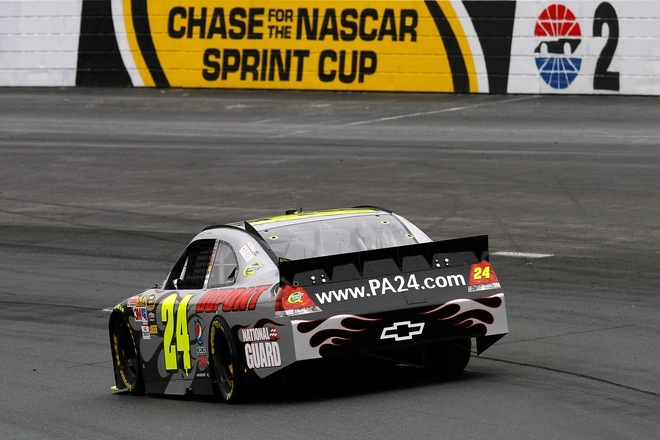 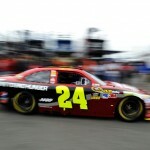 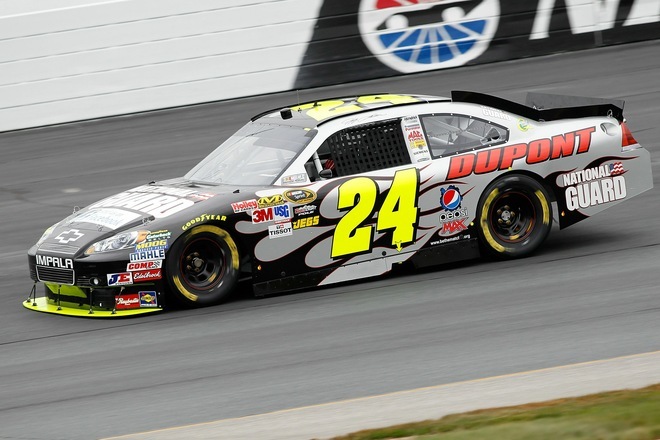 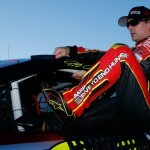 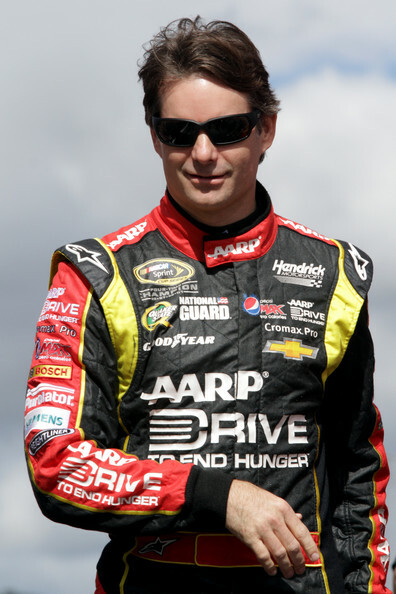 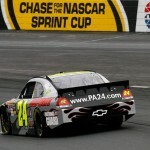 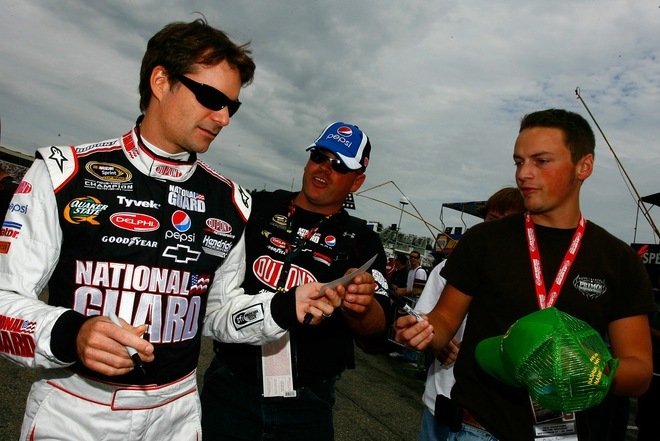 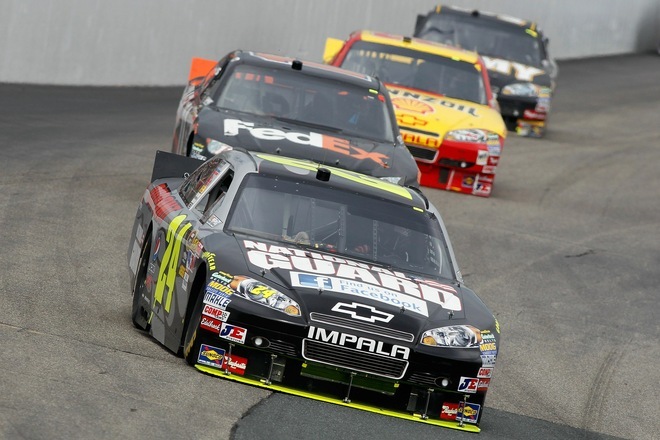 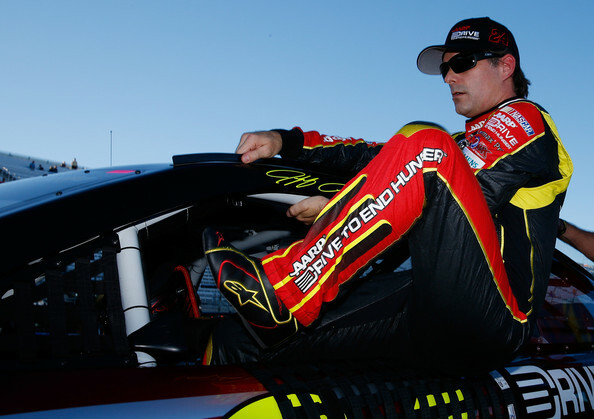 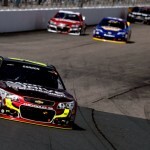 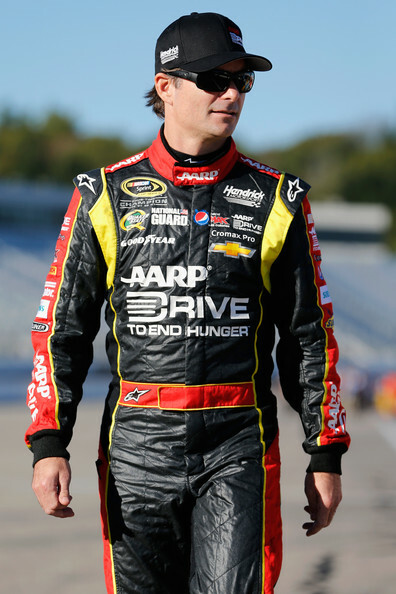 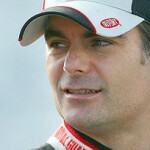 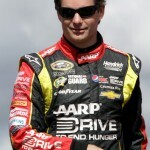 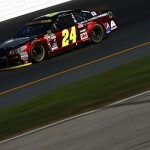 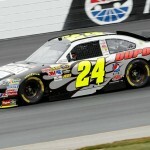 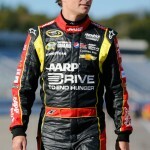 September 20 – – Jeff Gordon battled to a 6th place finish at New Hampshire Motor Speedway and moved up to 5th in the Chase points standings. 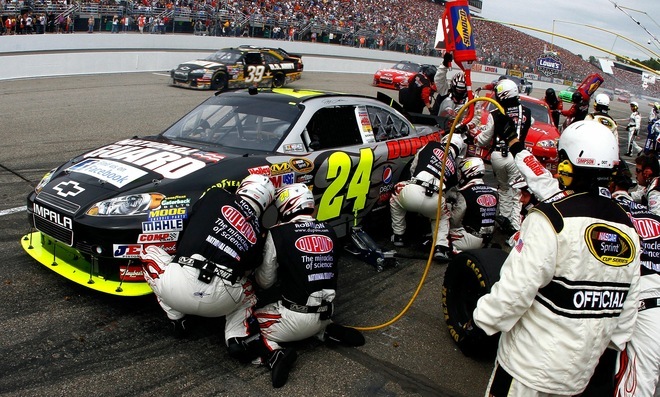 Gordon took no chances as the laps wound down, electing to pit for fuel to ensure the finish instead of staying out for track position. 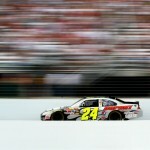 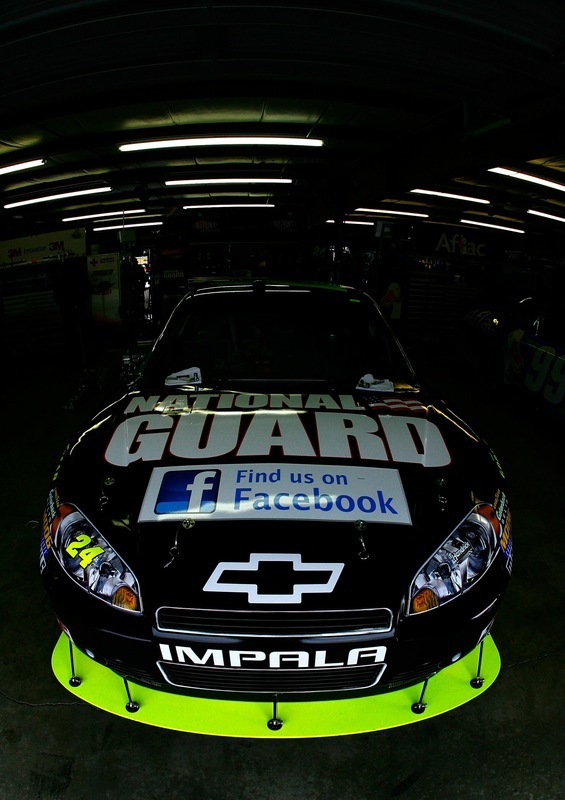 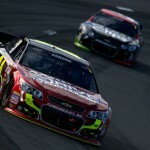 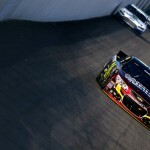 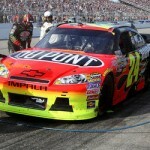 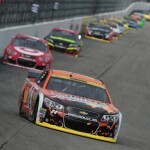 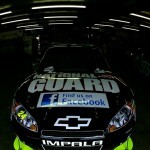 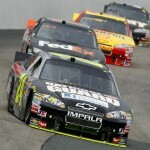 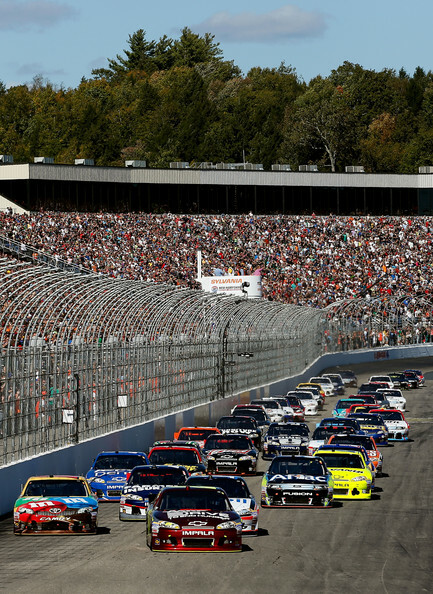 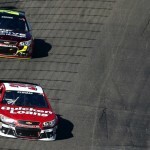 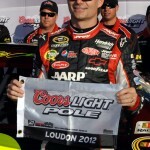 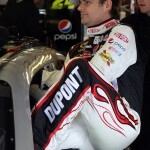 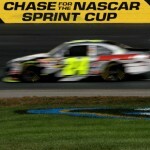 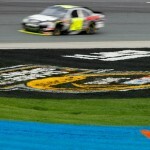 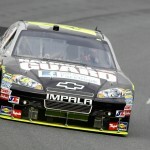 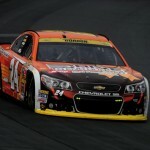 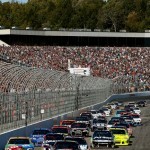 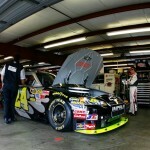 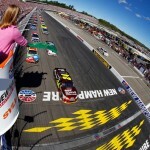 After Jeff Burton and Tony Stewart ran out of fuel on the white flag lap, Gordon’s decision proved to be the right one. 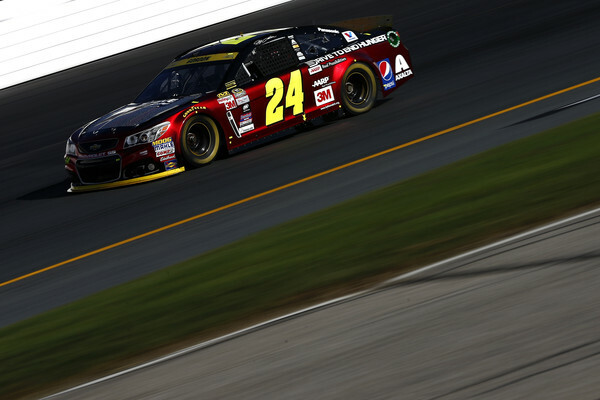 Gordon started 17th and moved up to 15th within 5 laps. 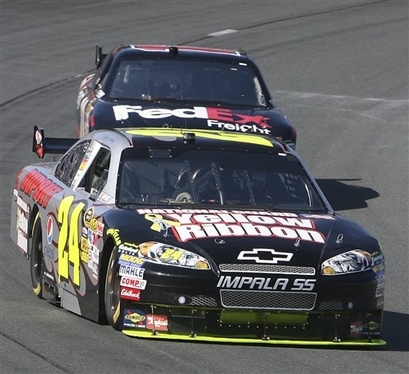 However, the handling became looser and Gordon dropped back to 19th on lap 17 when Jimmie Johnson and Denny Hamlin passed. 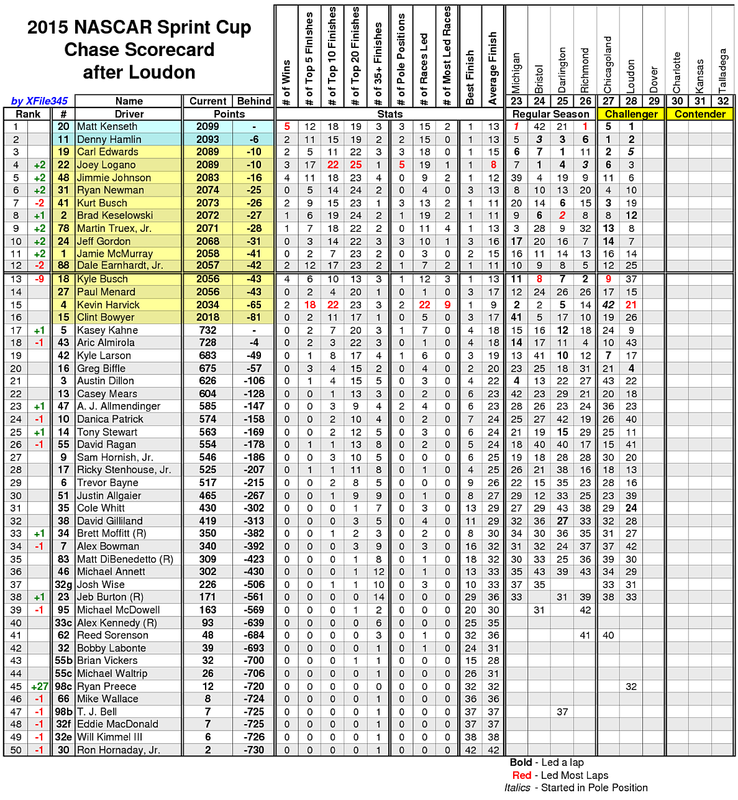 He re-assumed the 18th position from Hamlin on lap 20. 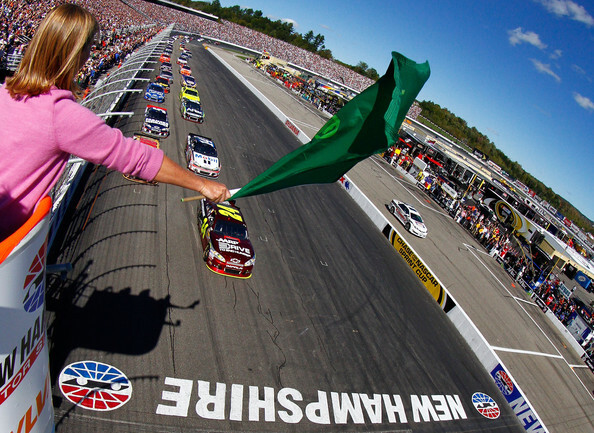 The first caution waved on lap 26 for Scott Speed’s wreck on the frontstretch. 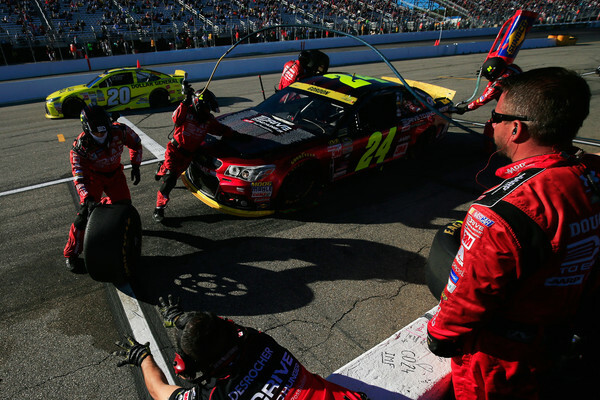 The lead lap cars came to pit road with Gordon dropping to 22nd after a four tire change. 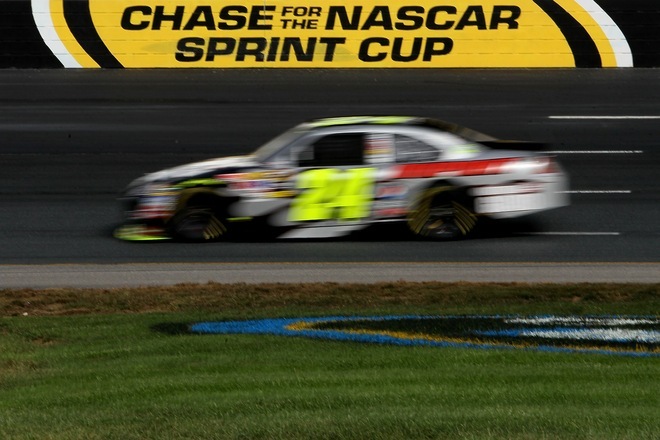 Within five laps of the restart, he moved back up to 17th. 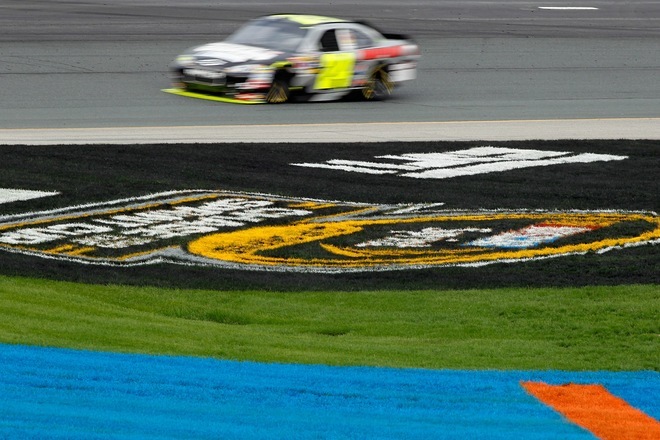 Lap 39 brought out the caution for a spin involving Marcos Ambrose and Paul Menard. 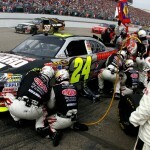 Pit stops followed with Gordon opting for 2 tires which dropped him out of the top-20. 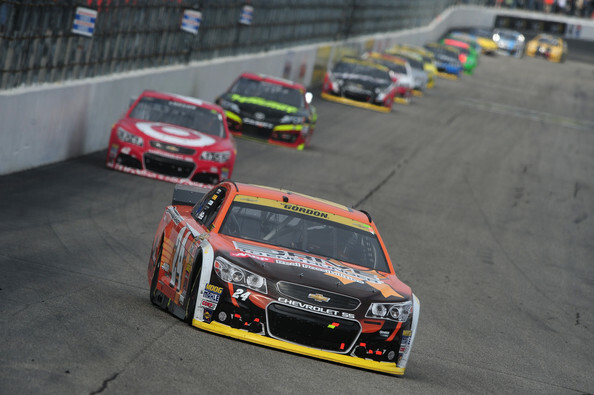 On the restart, Gordon moved up to 16th within four laps by taking a spot on the outside of Denny Hamlin. 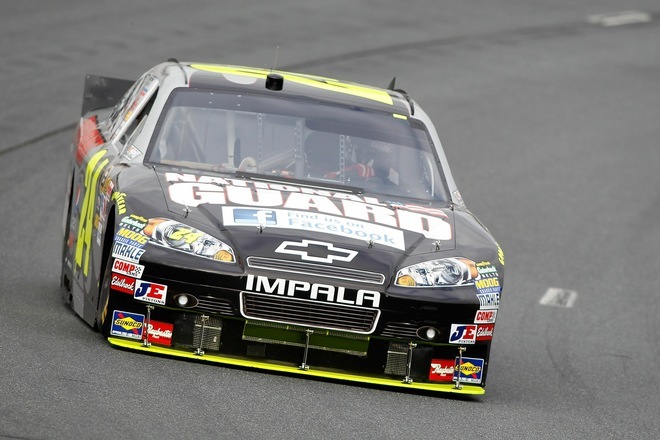 On lap 70 he passed Ryan Newman for the 14th position. 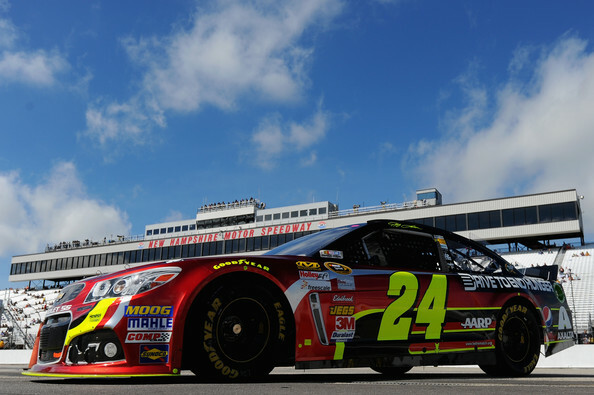 Gordon stayed out during a pit stop cycle to lead lap 111 before coming to pit road. 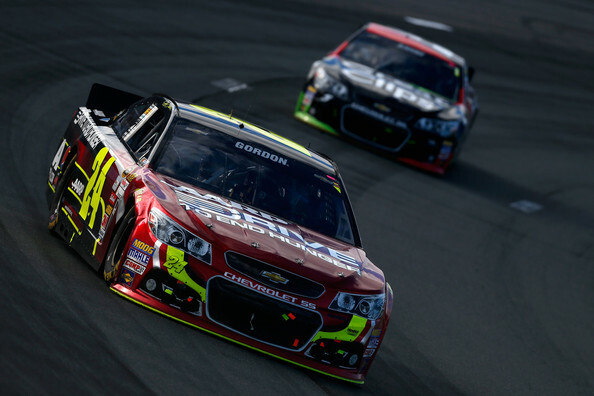 Gordon moved up to 10th before a debris caution at the halfway point. 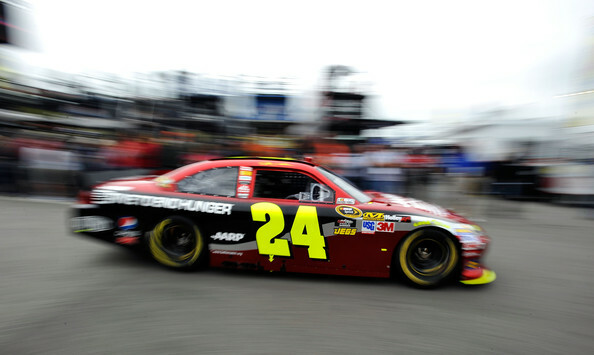 The lead lap cars came to pit road with Gordon exiting in 9th place. 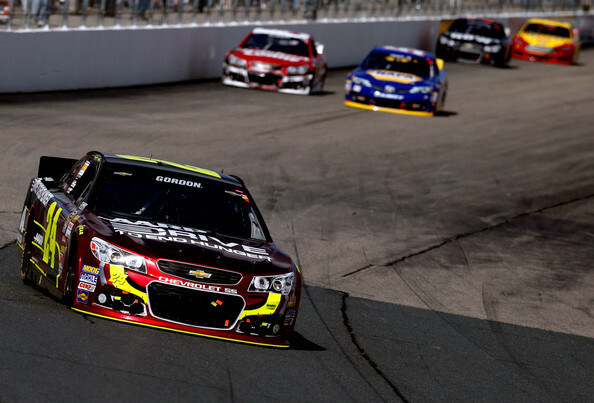 He ran in 9th for the balance of the fuel run before taking 8th from Kurt Busch on lap 190. 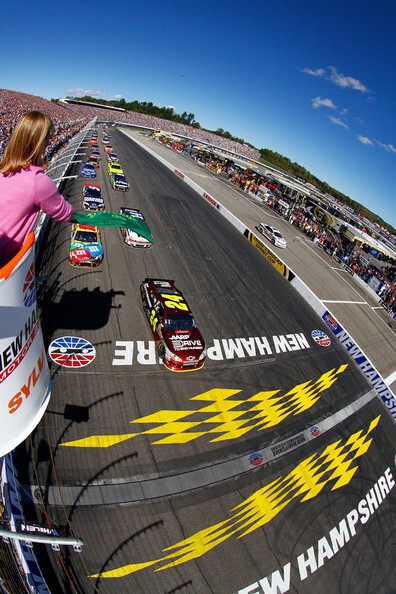 A caution for Mark Martin’s cut tire with 94 laps to go brought the leaders to pit road. 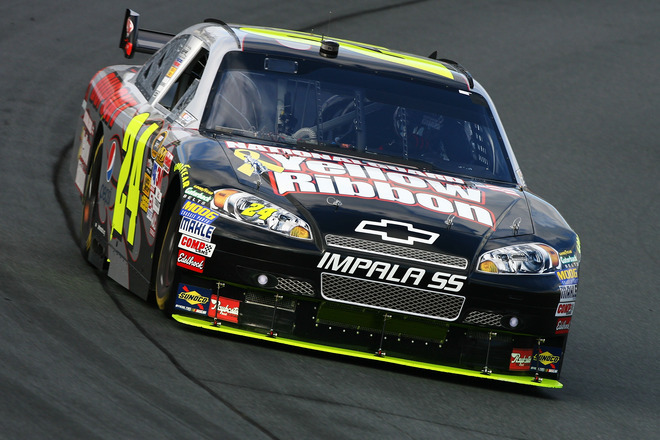 Gordon picked up two spots and departed in 5th place. 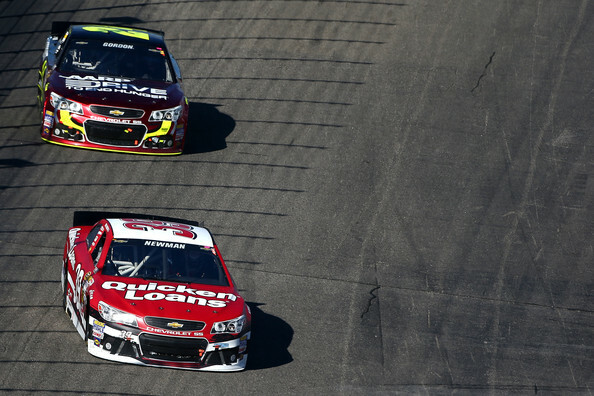 He moved to 4th when Carl Edwards spun Denny Hamlin in turn four with 86 laps to go. 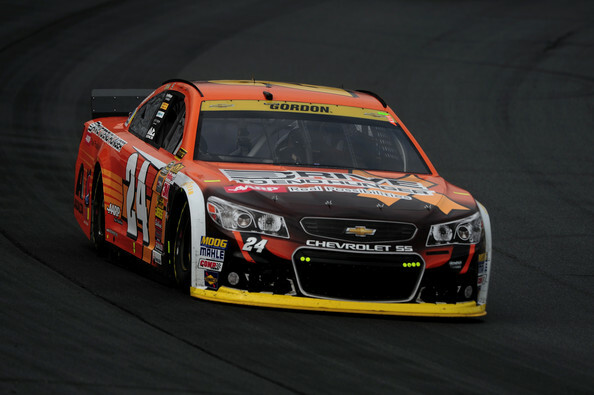 Gordon pushed Tony Stewart into the lead on the restart and settled into 3rd behind Stewart and Clint Bowyer. 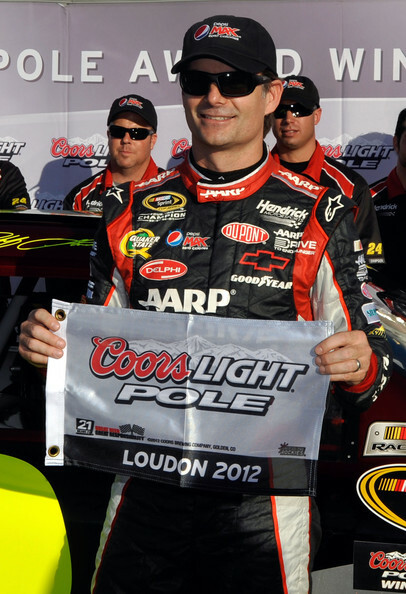 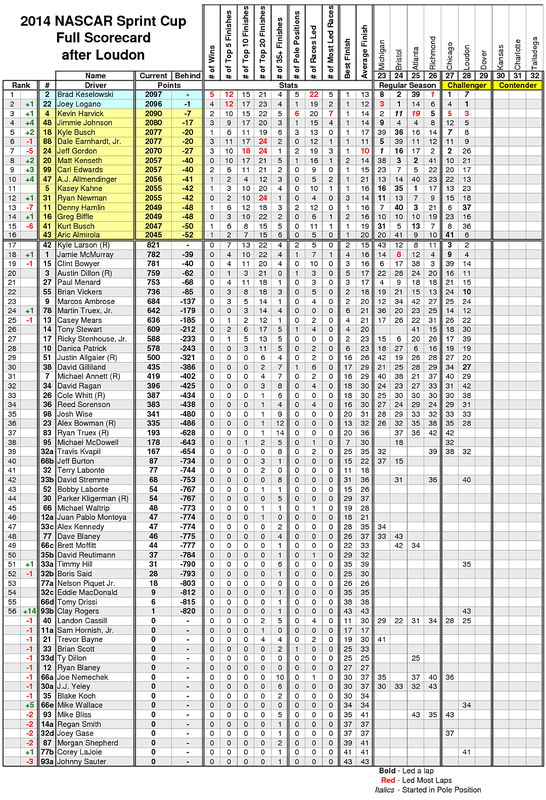 Gordon took the runner-up spot from Bowyer with 80 to go. 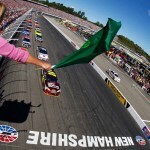 Two laps later Kurt Busch spun in turn two. 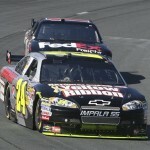 That set off a chain reaction of spinning that collected Kyle Busch and Jimmie Johnson. 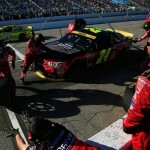 Gordon came to pit road to top off the fuel to ensure he could make it to the finish. 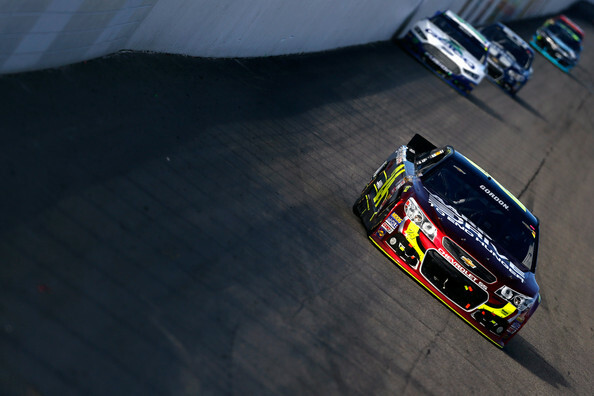 He restarted in 8th with 71 laps to go.